Home > Blog > Why are my sales different in Google Ads and Google Analytics? The short answer Is that Google Ads works off the last (Google Ads) click attribution, and Google Analytics works off the last (non-direct) click attribution. Seeing as though the two attributes credit differently, it is understandable that the figures reported won’t always match up. Here are some of the main differences between how Google Ads and Google Analytics handle sales and goal completions, as well as some example scenarios. 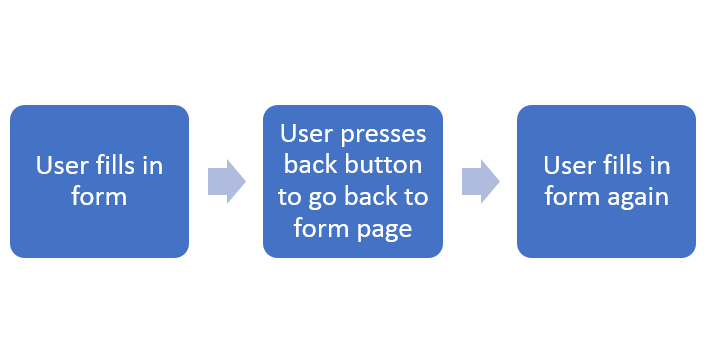 For the sake of brevity, this article looks at the default settings on Google Ads and Google Analytics, so we’re going to be looking at Last click attribution on both Google Ads and Google Analytics. This one is most often the culprit for the differences in conversion numbers that we see in Google Ads and Google Analytics. Google Ads will only give credit to clicks coming from Google Ads and will ignore all other channels. This means that it will give credit to the last Google Ads click in the sales funnel and ignore any clicks that may have happened after the last Google Ads click. Google Analytics will give the credit to the last channel (apart from direct) in the sales funnel. Google Analytics: Email got one transaction and the sale happened on Friday. Google Ads: Google Ads got one conversion that came through the ‘nike running shoes’ keyword and the conversion happened on Wednesday. There can be a three hour delay for a conversion to be filtered into the Google Ads system, whereas the delay for a transaction or goal to be filtered into Google Analytics can take around nine hours. In my experience, it doesn’t typically take this long for conversions and transactions to be filtered into Google Ads and Google Analytics, but it is important to note that it can take this long. Google Ads looks at what happens after the Google Ads click and not the session. In this case, if multiple conversion actions happen within the same session, Google Ads can potentially report multiple conversions. Google Analytics however, would report one goal completion per session even if that particular goal happened multiple times in the session. It’s worth noting that we can change how many conversions Google Ads counts per click. We can either tell Google Ads to count all conversions within a click, or we can tell it to count just one conversion per click regardless of how many conversions happen in that click. Google Analytics: One goal completion happened seeing as though both form fills happened in the same session. Google Ads (counting one conversion per click): One conversion happened seeing as though both form fills happened within the same PPC click. Google Ads (counting many conversions per click): Two conversions happened seeing as though the conversion action (form fills) happened twice. Even though it isn’t perfect (and for the sake of brevity we won’t go into the details here), Google Ads can track cross device conversions. This means that it can track conversions that start off on one device and end on another device, whereas the Transactions and Goal completions report on Google Analytics does not have this functionality. This can potentially result in sales and goals being attributed to different channels. Google Analytics: Google Ads obtained zero transactions and organic obtained one transaction on a Desktop device. 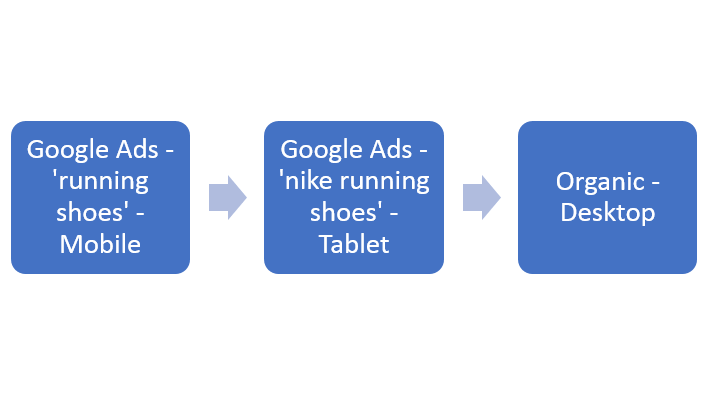 Google Ads: Google Ads obtained one conversion which came from the keyword ‘nike running shoes’ on a tablet device.